Is this painting hopeful or hopeless? How much does it matter for us to know about Van Gogh to understand this painting? Does he see something we cannot? Was his madness necessary to make this painting possible? 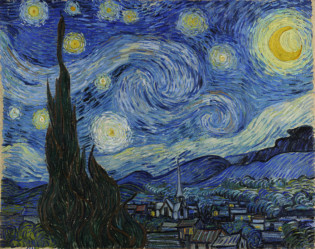 ​Van Gogh, V. (1889) The Starry Night. Museum of Modern Art, New York.